For the first time in Network Television history, CBS will be airing a behind the scenes look at Victoria’s Secret models on their trip to Puerto Rico for the shoot of the Victoria’s Secret swimwear campaign. The special will feature Victoria’s Secret favorites like Adriana Lima, Candice Swanepoel, Lily Aldridge, Behati Prinsloo, Alessandra Ambrosio, Elsa Hosk, Martha Hunt, Jasmine Tookes, Stella Maxwell, Joan Smalls and Jac Jagaciak among others. The oh-so-gorgeous Victoria’s Secret models will discuss their experience shooting in Puerto Rico and will of course, talk about what wearing a piece of Victoria’s Secret swimwear means to them. We’ll get a glimpse of how their modeling careers have evolved over the past few years thanks to their work with Victoria’s Secret and get a sneak peak of the girl’s spontaneity, personalities and ways of thinking while working on location in “La isla del encanto” Puerto Rico. Colombian superstar Juanes brings his original song “Juntos” to CBS’ Victoria’s Secret Swim Special this Thursday, February 26th. 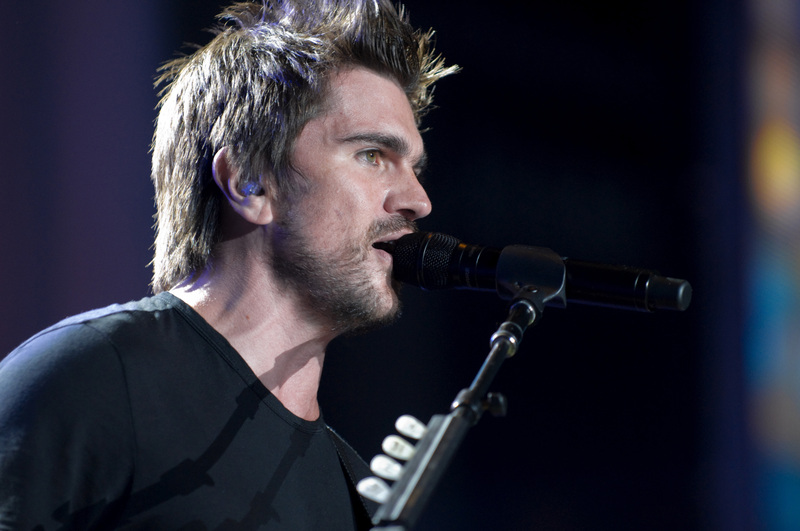 Joining our Victoria’s Secret Angels on the island will be Maroon 5 and Grammy award winning singer, Juanes. However, the real big news here is that Spanish rock sensation Juanes will be performing live during the televised swim special! He will perform his new hit single ‘Juntos (Together)’ which he wrote exclusively for Disney’s latest film currently in theaters nationwide, McFarland USA. Below you can see the trailer for the Victoria’s Secret Swim Special in Puerto Rico, and from what we’ve seen it looks like a horrible amount of fun! Check it out and of course make sure to watch the CBS special with us on Thursday, Feb. 26 (10:00-11:00 PM, ET/PT) so that you won’t miss out on Juanes’ performance. Viewers can connect with each other on social media by using the hashtag #OwnTheBeach!